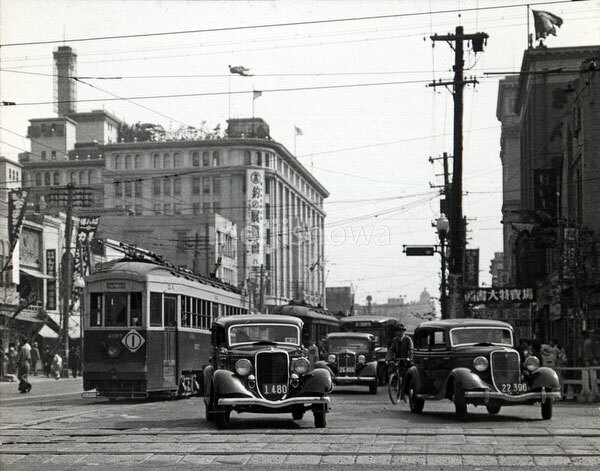 Cars and street cars on Chuodori in Nihonbashi in May 1934 (Showa 9). The photographer took this photo from the intersection of Chuodori and Eitai-dori. The building in the back is Takashimaya Department Store. See blog entry.